There’s no pretending that winter isn’t here anymore; with temperatures in Beachwood dropping to an icy cold 34 degrees this week, it’s taking center stage throughout the state of Ohio. If you’re like most Ohio residents, you’ve probably fired up your furnace to try and keep warm during this most recent spell of frigid, cold weather. Here at Arco Comfort Air, we never want you to have any problems with your heating system, but time and time again those wishes show themselves to be pretty unrealistic. Problems with your furnace are as normal of a part of home ownership as roof leaks the need to repaint. Furnaces are not indestructible. The most popular time for things to go wrong which require a furnace repair is the beginning of the winter season. This is because your furnace, which has been idle and unused for months, is firing up for the first time and the wear and tear that comes from the months of sitting dormant may have caused a number of issues to develop. However, when something does go wrong, you don’t have to stress over finding a way to get it fixed—Arco Comfort Air is on your side. Lots of different things could go wrong with your furnace over its life: furnaces are fairly complex systems, and even something seemingly small going down can cause your entire system to stop working or fail to produce heat. That’s major trouble when you’re in the middle of winter and depending on your furnace to keep you comfortable. Bad electrical connections: If a wire pops loose from its connection point or a connection becomes frayed to the point where it can no longer work, you could face anything from a system that won’t turn on to one that turns on but doesn’t produce heat. Thermostat malfunctions: A thermostat which isn’t properly calibrated or has another issue may fail to turn your system on or force it to fail to produce heat. Defective blowers & airflow problems: A defective blower motor means the heat your system produces won’t be spread throughout your home, and instead will simply stay in the furnace itself, potentially causing overheating. Dirty or clogged filters: You need to periodically replace your furnace to make sure that dust and other airborne debris are removed. A dirty or clogged air filter won’t be able to allow the needed amount of air into your furnace, resulting in comfort or air flow problems. No heat: Perhaps the most common sign of a furnace problem is that it simply doesn’t produce heat, which means you’re stuck shivering in the cold with a system that just wastes energy. Arco Comfort Air understands the stress of dealing with a broken furnace when the weather outside is anything but delightful. That’s why we’re proud to offer 24/7 emergency repairs and services so you can enjoy your home in comfort and warmth again without having to wait until morning. When our technicians arrive at your home, we will inspect your furnace, determine the cause of the issue, and provide a job-based quote upfront with no surprise fees or costs. Leaving your furnace unattended and broken for too long won’t make for a warm, comfortable winter for you and your family. 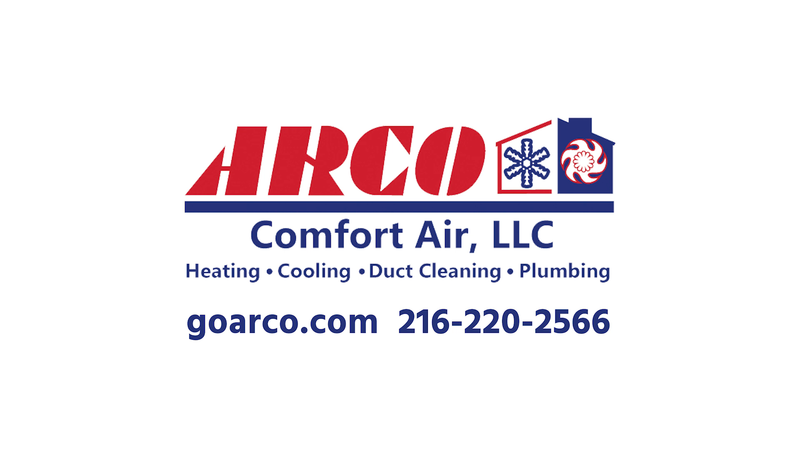 Let us help; call Arco Comfort Air at (216) 220-2566 today!